Faly accepted Christ as his personal Lord and Savior when he was fifteen, and God has since grown his love for studying and teaching His Word. Faly is a trained merchant marine deck officer and marine engineer, and he has worked in various management positions in the oil industry for fifteen years. Faly and Lily got married in May 2004. In 2007, the Lord took Faly and his wife to South Africa where they providentially found the church pastored by TMS graduate, Tim Cantrell, who mentored Faly and led him to realize the desire he had for full-time ministry. 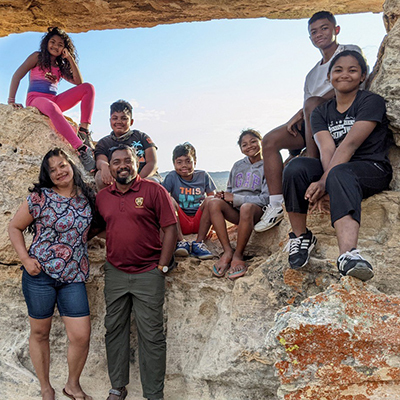 Returning to Madagascar, Faly saw the profound need for training of faithful, servant-hearted men in order to raise a new generation of church leaders committed to the sound teaching of God's Word. The Lord then amazingly opened doors for him to come to The Master's Seminary to pursue the Master of Divinity degree, moving with his whole family to California early January 2015. Stricken by poverty and spiritual darkness, Madagascar groans and suffers. Faithful churches, preaching and living out the gospel of Jesus Christ, are the greatest needs of the moment as people are engulfed by sin and its effects. 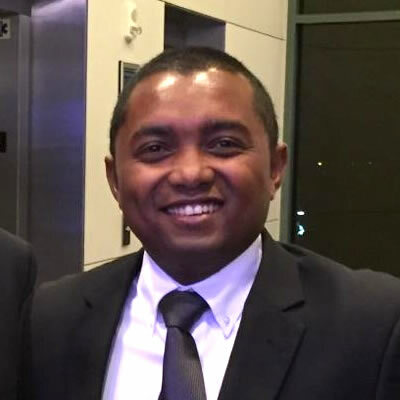 The Lord thus grew in the Ravoahangy family a burden to go back to Madagascar after graduation in May 2017—to be available as instruments in the hands of God, to identify, train, and equip Malagasy pastors, and in the future, to reach other men of God from French-speaking African countries. Faly and Lily have two boys, Daniel (2004) and Samuel (2008), and three girls, Emmanuelle (2010), Gabrielle (2011), and Rachel (2012). To serve at our home church, Ankadivato Biblical Baptist Church. This will involve teaching and preaching, discipleship, and providing oversight over some of the church's ministries. The main emphasis will be the development of a church level training program geared to disciple and equip the body of believers, as well as to identify godly men able to be part of the future generation of leaders. To be involved in training local pastors to increase their knowledge of and ability to teach God's Word, through modular training and seminars, so they would be able to properly feed and shepherd their flock. Ultimately, our desire is to open a Bible-teaching seminary in Madagascar, focusing on expository preaching. Help strengthen our home church by serving with the other elders. Be faithful to the Lord in proclaiming His Word. Train lay men and existing local pastors to accurately handle Scripture. Open "Mpitandrina-Mpitoriteny-Mpanompo" Seminary (3M, the Malagasy for "Pastor-Preacher-Slave") in order to develop a generation of godly church leaders who will then impact many lives. Make a one-time or recurring credit card donation to this ministry partner by filling out the form at the top of this page. To set up a monthly direct deposit, print the form and follow its instructions (Use missionary project "Madagascar 3M – Ravoahangy Family"). To give by check, send a check payable to "GMI" with " Madagascar 3M – Ravoahangy Family" on the memo line to 13248 Roscoe Blvd. Sun Valley, CA 91352. Thank you so much for your interest in our ministry. May God bless you!